Looking forward to summer feels like. This dog canâ€™t surely wait for the winter season to be over. 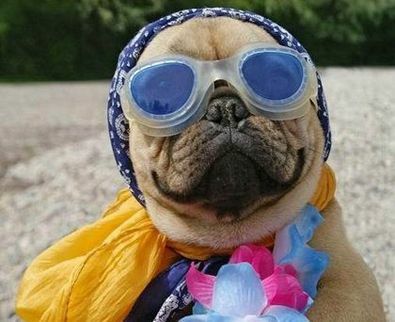 Just look at the Hawaiian inspired, costume and it seems like he is ready for a quick dip with those doggles on.